De Vinis Illustribus has a wide choice of gift boxes with eclectic themes. We hand pick unusual and excellent value wines to make up our selections. 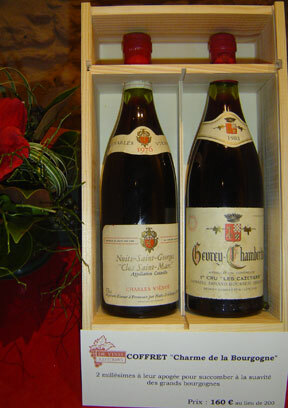 The wines come with wooden or cardboard boxes depending on their worth. De Vinis Illustribus can also create customized gift baskets.